Welcome to Dirt Cheap RC! - Where R/C is Fun and Affordable! TIP: Sign-In or Create an Account to see our Exclusive Low Prices. TIP: Earn RC Points on every order & use them as a discount on your next purchase. TIP: Join the Waitlist for a backordered product to be notified as soon as it’s available again! Speed Controls, Motors & Acc. FREE US SHIPPING on ALL orders over $99! Proudly Serving Hobbyists Since 1993. © 2005-2019 Dirt Cheap RC. All Rights Reserved. RC Points is our customer rewards program, tailored to save you even more money! Earn RC Points on every purchase. They're ready to use RIGHT AWAY on your next order. Currently, 100 RC Points = $1.00 Discount. Remember, we do run promotions where you can earn extra RC Points such as Triple RC Points. Also, we run promotions where your RC Points have extra redeeming power. So be sure to sign up for our Newsletter to be notified of these promotions! This website is operated by Dirt Cheap RC. Throughout the site, the terms “we”, “us” and “our” refer to Dirt Cheap RC. In some of the product descriptions, the terms “we”, “us” and “our” may refer to the actual manufacturer of that product due to the fact that they provide the official descriptions to us for resale of their products. In these rare cases, the terms “we”, “us” and “our” do not refer to Dirt Cheap RC and do not deem Dirt Cheap RC liable for any product descriptions or product claims. Dirt Cheap RC offers this website, including all information, tools and services available from this site to you, the user, conditioned upon your acceptance of all terms, conditions, policies and notices stated here. In no case shall Dirt Cheap RC, our directors, officers, employees, affiliates, agents, contractors, interns, suppliers, service providers or licensors be liable for any injury, loss, claim, or any direct, indirect, incidental, punitive, special, or consequential damages of any kind, including, without limitation lost profits, lost revenue, lost savings, loss of data, replacement costs, or any similar damages, whether based in contract, tort (including negligence), strict liability or otherwise, arising from your use of any of the service or any products procured using the service, or for any other claim related in any way to your use of the service or any product, including, but not limited to, any errors or omissions in any content, or any loss or damage of any kind incurred as a result of the use of the service or any content (or product) posted, transmitted, or otherwise made available via the service, even if advised of their possibility. Because some states or jurisdictions do not allow the exclusion or the limitation of liability for consequential or incidental damages, in such states or jurisdictions, our liability shall be limited to the maximum extent permitted by law. You agree to indemnify, defend and hold harmless Dirt Cheap RC and our parent, subsidiaries, affiliates, partners, officers, directors, agents, contractors, licensors, service providers, subcontractors, suppliers, interns and employees, harmless from any claim or demand, including reasonable attorneys’ fees, made by any third-party due to or arising out of your breach of these Terms of Service or the documents they incorporate by reference, or your violation of any law or the rights of a third-party. These Terms of Service and any separate agreements whereby we provide you Services shall be governed by and construed in accordance with the laws of 4428 State Route 94, Suite 3, Florida, NY, 10921, United States. You agree NOT to request a refund or perform a Charge-Back (Dispute) for any funds donated through us. We do promise to apply all charity donations, less all payment processing fees at our discretion, to the charity or cause that you were informed of during checkout. Questions about the Terms of Service should be sent to us at info@dirtcheaprc.com. Donate to Charity and we'll give you a Store Credit that matches your donation amount, up to $10. The store credit will be valid for 3 months and will be issued after you place your order. You really can't lose! You're helping others and getting rewarded for it! Dirt Cheap RC wants to support causes with you! We will support different causes as time goes on. Rest assured that your donation will in fact help someone that is in real need. We will of course be taking 0% of any funds that are donated for ourselves*. Please read below for information on our current charity fundraising cause. Simply select your donation amount during checkout! Click here to donate directly without ordering RC parts! Dirt Cheap RC is teaming up with Living Hope International Ministries in Latham, NY in order to make a real difference in the lives of children. We want to help those who are less fortunate than us here in the US. Our goal is to be completely transparent while doing this. We are a smaller type of organization and hobby shop, where you can be sure that your donation is not being used for anything other than its intention. 100% of your donation* will be put towards sponsoring a child in the Congo for a year of schooling. In the Democratic Republic of the Congo (DRC) many of the families cannot afford for their children to attend school. There is no reliable public schooling in the DRC. Therefore, parents must pay for their child’s education, if they are able to. The result is that many children are unable to attend school so as to learn even the most basic of skills. Or their family struggles financially while sending them to school, often foregoing other basic human needs in order to pay for the schooling. 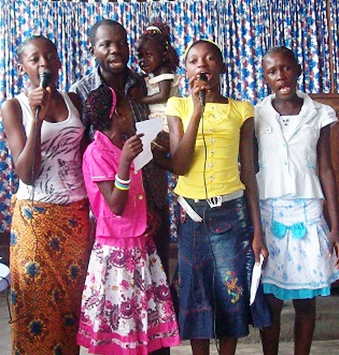 This Child Sponsorship program has been established to address this urgent need. By gaining a basic education, a child is better able to learn and understand the Biblical Scriptures and gain a relationship with God, helping to fight against the severe evil that inhabits their everyday lives. Also, they will be able to build a foundation for providing for their future families, eventually breaking the poverty cycle that plagues so many of them. 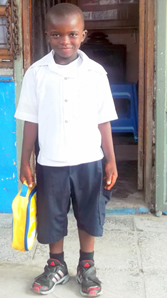 $480 is all that it costs to sponsor a child for his or her education for a school year. This includes the tuition expense, as well as providing the child with a uniform and a few school supplies. Sponsorship payments are due around the middle of August each year. Dirt Cheap RC's aim is to be able to sponsor at least one child each year. With the help of the RC community's donations, we are hoping to sponsor even more. We will be updating this page with more information as donations are taken over the next year, before the August enrollment happens. We'll keep this page updated with how much money we've taken in and who we've been able to help. Your support is much appreciated! Please see the timeline below for updates. *100% of your donation will be put towards sponsoring a child in the Congo for a year of schooling. However, due to Credit Card Processing Fees and PayPal Fees, 3% of the donation amount will be withheld to cover those fees when processing your donation payment. For example, if you place an order and choose to add a donation of $1.00 during checkout, $0.97 will be put towards sponsoring a child while the remaining $0.03 has been taken by our payment processor. If you choose to donate directly and not purchase any RC products from our store, there is simply an additional $0.30 payment processing flat fee that will be withheld. For example, if you donate $2.00 directly without purchasing any RC products, $1.64 will be put towards sponsoring a child while the remaining $0.36 has been taken by our payment processor. Again, none of this money is taken by us, but by our payment processors. Thursday, April 10th, 2019 - Dirt Cheap RC will now match your donation by providing you with a Store Credit when you choose to make a donation, up to $10. Donate $10? Get a $10 Store Credit from us that's as good as cash. You really can't lose! You're helping others and getting rewarded for it! The Store Credit is valid for 3 months, so you have plenty of time to use it towards your next RC purchase. Thursday, December 20th, 2018 - We have been able to raise just $1.00 via web order donations :-/ While this cause is worth our efforts, it is unfortunate that others are not as willing to donate, even small amounts. We certainly aren't intending to shame anyone. But these are real people that need real help, and it is truly unfortunate. We will be looking into additional avenues by which we can raise funds to sponsor children for schooling. Stay tuned! Monday, September 17th, 2018 - Information regarding Congo Donations added to the site. Also an option during checkout to donate money and a direct donation 'product' has been added to the website. Free Shipping Eligibility: We offer a Free Standard Shipping option for orders being shipped to the Contiguous United States that subtotal at least $99.00 (pre-tax). International orders are not eligible for the free shipping option. If your order is being shipped to the Contiguous US and is over $99.00, the Free Standard Shipping option will be displayed for you in the cart and during checkout.